WiiWareWave continues it's interview with Nic Watt of Nnooo. Nic discusses escapeVektor's sales, developing for WiiWare and talks about what the future holds for escapeVektor and Spirit Hunters Inc.
Q: When escapeVektor came out it received some outstanding reviews - were you surprised? How did that impact your team? Nic Watt: We were over the moon when the reviews started coming in. When you work on a game for over a year you get so close to it it's really hard to know if it is any good or not. The big pay off is seeing reviewers and fans alike really enjoy what you have made! It is always great for the team to see people enjoying their hard work and to get 90% and 10/10 reviews really helps inspire them and makes the job worth it! 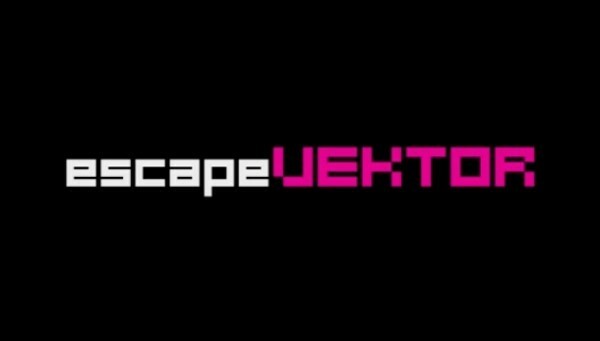 Q: What made you decide escapeVektor: Chapter 1 should be an exclusive to the Wiiware service for the time being? NW: We are a small company with only 5 staff at the moment so making for multiple platforms simultaneously is not particularly easy. It is only now with the Nintendo 3DS and Playstation Vita that we are attempting to do just that! Also we thought a lot about whether to release the chapters individually on the Nintendo 3DS and PSVita or to bundle them together. We decided that it would be better for everyone if we included all four chapters. That way new fans get a great deal and people who have played chapter 1 have plenty of new content to get stuck into! Q: We're heard that there won't be anymore releases in this series on Wiiware, however, there was locked content in Chapter One that was intented to be unlocked if they purchased future chapters. Is there any other way of unlocking this content? Q: You've done very well with your original game Pop both as a launch Wiiware title, on DSi and again on iOS. Was EscapeVektor as successful a sophomore title as you'd hoped? NW: All developers find older platforms more of a challenge when it comes to sales. That's why we're turning our attention to new hardware for the full version of escapeVektor. Q: Did you have any issues with the 40mb WiiWare filesize limit while creating escapeVektor? Or any other of the Nintendo Wiiware requirements? NW: Software development like any design discipline is about working in a box. The hardware you work on has a finite amount of power so that is one box to constrain you. This 40mb limit is another. As long as you are aware of it from the start and design for it, it is not a problem. Would I like to see it increased? Sure, but all of our WiiWare releases have been under 16mb so personally I think it is more about how you make your game rather than what you make. Q: What lessons did you learn through the process of developing and subsequent launch of EscapeVektor? NW: I think the big thing we have learnt is that it is better for us if we focus on new hardware rather than old. The Wii is a great machine but unfortunately there are few people downloading games on it and many of those that would have hacked their console. The fact that more people have pirated escapeVektor than paid for it is very disappointing and has definitely made us think twice about supporting hardware which has had its security breached so easily. Q: What our your future plans for the EscapeVektor series and for Nnooo as a whole? NW: We hope to release escapeVektor on Nintendo 3DS and PSVita late this year alongside Spirit Hunters Inc on DSiWare. Following that we'd like to start looking at Steam and Wii U as well as the future of the Vektor and Spirit Hunters Inc franchises. Q: Any tips for inspiring developers? NW: Work hard. Find out what you are really good at and tailor your games and work to make best use of your skills. Get a job with small to medium sized developers and learn as much as you can before you try to set up on your own. Finally find a niche for your products instead of making competitors to already successful franchises or genres. Thank you so much for taking the time to do this interview. The link to part one is broken all it does is send me to the portal. Bangaa wrote: The link to part one is broken all it does is send me to the portal. Odd - it works fine for me. Anyone else have this problem? Yeah it's the Wii browser, but it might be because the format of the link is kind of......strange. Nice follow up to part one of your interview with Nnooo. I'd like to know if that additional content will automatically be accessible in the 3DS version, since all four chapters will be bundled into one package. Nice finish to your interview with Nnooo! I'm using the laptop and yes the link is broken. I can't wait to play EscapeVektor for the first time on my Nintendo 3DS and with full content. Can someone please fix the link? This two part interview with Nnooo is the most beautifully written article on this entire website. Nice finish to this two part interview gamerace! Those were very good questions used in the interview! @Ragnarok wrote: Those were very good questions used in the interview! On behalf of myself and all the staff that contributed questions, thank you. How many developer interviews have been done so far?